Jump The Hedges creates innovative and design led solution to modern day lifestyles. We create bags for the conscious consumer from reclaimed materials that would have otherwise gone to landfill. Each bag is made in Northern Ireland and is created using transparent and ethical manufacturing processes. After becoming disillusioned working in industry for the likes of Adidas and Levi’s, Jump The Hedges founder, Síofra Caherty, returned home to Northern Ireland to create a design company that was innovative, design led and that utilised local manufacturing. 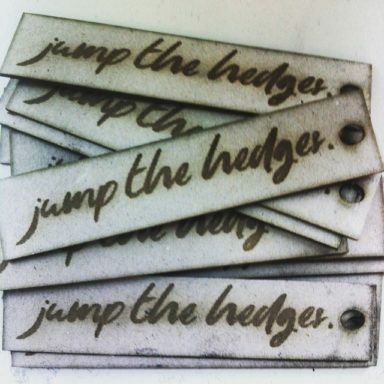 Jump The Hedges fuses functionality, good design and conscious living.